The University of Nicosia and the Mediterranean Institute of Gender Studies (MIGS) are re-launching the publication entitled I Thought I was Applying as a Care Giver”: Trafficking in Women for Labour Exploitation in Domestic Work, first announced on the 18.09.2015, due to an error in the original text in relation to the authors of the Chapter 3 Domestic Work and Trafficking in Human Beings in Greece: A Crossroads in the Dark?. Domestic Work and Trafficking in Human Beings in Greece: A Crossroads in the Dark?, the authors are: Nelli Kambouri, Dimitris Parsanoglou, and Voula Touri, Centre for Gender Studies, Panteion University, Greece. Download the corrected full-text version of the book here. This publication is the result of the transnational project Combating Trafficking in Women for Labor Exploitation in Domestic Work, STOP Traffic for Domestic Work, coordinated by the University of Nicosia and funded by the Prevention of and Fight against Crime (ISEC) Programme of the European Union. 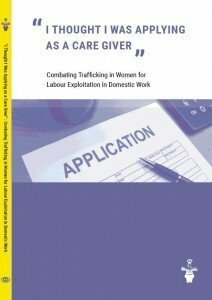 The book incorporates the research results conducted by all partner organizations as well as policy recommendations and strategies on national and EU level on combating trafficking in women for labour exploitation in domestic work. 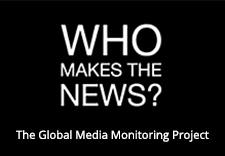 Also within the framework of the STOP TRAFFIC project, country information leaflets were published that include the main research findings in each partner country as well as country specific policy recommendations.